When it comes to eye-catching book covers, The Hideaway is one of the best I’ve seen in a long time. Immediately, it made me think of summers on a Southern front porch of an old house with floor-to-ceiling windows and, in fact, that’s exactly what this book is about, an old house that’s as much a character as its humans. I’d like to acknowledge the artist but the advance reading copy I have doesn’t give the name. Whoever it is, kudos! If it weren’t for the fact that running a bed and breakfast requires much more labor than I’ve ever been willing to do, it has always appealed to me but Sara’s reluctance to restore The Hideaway to its former life is understandable. 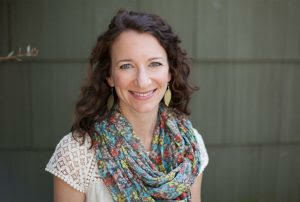 Sara has her own life in New Orleans and she’s truly happy as an antiques dealer; at the same time, she loved her grandmother and there are memories in Sweet Bay, Alabama. It’s easy to see why she would be drawn in by her grandmother’s last wish, her directive for Sara to not only renovate the house but live in the house during the work. Mags and Sara had different and yet very similar lives and as Sara’s time in Sweet Bay goes by, we see Mags through her own eyes and narrative. 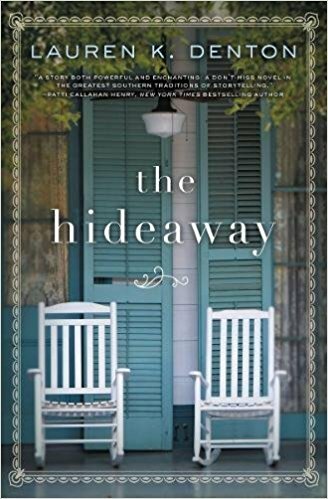 While their respective tragedies weren’t at all alike, the one constant is the importance The Hideaway played in their pasts and Sara begins to learn so much about Mags that she had not known before. Ms. Denton’s debut is a charming tale of family and hidden lives blended with the sometimes annoying but always loyal people who become extended family, often more important than blood relatives. In essence, this is a tale of reaching for what one’s destiny can be and how those closest to us become embedded in our souls and anyone looking for a comfortable, easy story would do well to pick up The Hideaway.